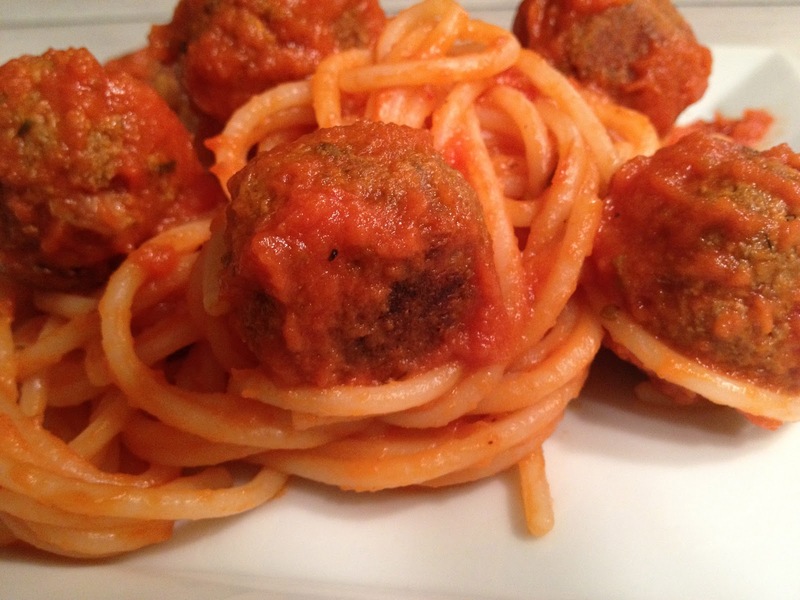 Growing up, spaghetti and meatballs were a staple in our house. Unlike most of my recipes, this meal requires a little planning. Whenever I am making lentils, brown or French (rarely green so I have not tried them in this but I am sure it would be fine…), I make extra for this recipe. And I usually roast the cashews ahead of time, but that takes only a few minutes and can be done while the onions and garlic are sautéing. I always have homemade tomato sauce in the freezer, so that has to defrost and heat up. (Or you can use good sauce in a jar!) But, it’s easy to pull this meal together and it is so worth it. Leftovers are fantastic in heroes and these meatless meatballs freeze really well for future meatless Mondays! makes 12 to 18 meatless meatballs, depending on the size of the balls! Cook lentils and toast the cashews ahead of time. Dice the onion and sauté until soft. Sauté in water or oil, your choice. Mince the garlic and add to the onions and cook on low until soft and fragrant. Make the flax egg in a big mixing bowl. Place everything (from the cashews to the salt) into the food processor and process until well mixed. Turn out into the mixing bowl with the flax egg and mix well until totally incorporated. With damp hands, take a small amount of the mixture and roll between the palms to make balls. Place on the baking sheet and bake for 20 to 25 minutes until the balls are browning. Toss the spaghetti with sauce and plate. Toss the meatballs in the sauce (gently) and place on top of the spaghetti. Enjoy!